Joachim Pfeiffer, who is a German politician and lawmaker, has recently joined the German Green Party, which is in favor of legalizing marijuana in this country. The campaign to legalize cannabis, has now revived in Germany and there is soon to be a debate on whether to regulate this herb or not. The lower house of parliament in Germany, has also approved the new legislation, which would lift the ban on marijuana and regulate it, just like tobacco and alcohol are regulated in this part of Europe. Cannabis users in Germany, are very happy about these news and we should all be as well, as this is a huge step towards regulating cannabis worldwide. At the moment, there are different marijuana laws in Germany and these depend on each of its states. Some are still prohibiting the herb, while others, like Berlin, allow its citizens to carry up to 15 grams of marijuana, without having to worry about prosecution. 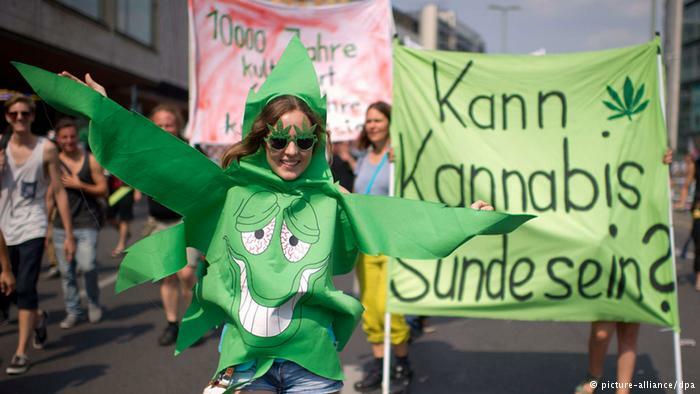 The 19th Hemp Parade, will be held on August 8th in Berlin, which is Europe's largest event promoting cannabis. At least 6500 people are expected to be part of this year's Hemp Parade and this is proof of how important this industry will be in the near future. At least 51% of the people who participated in a recent poll in this European country, are in favor of fully legalizing marijuana and this is also proof that more people now believe that cannabis should be regulated and not banned. Please remember to share and like this blog post, so that more people can read about marijuana legalization in Germany. Don't forget to sign up for our free newsletter, by leaving us your email in the box to the right and we will send you more interesting news about cannabis and its regulation.